I am a GA alumni and fan. I gave you your 2nd like and I don't care for your kind around here either! I gave you no likes and hope we destroy GA and FL this year! We are salty because we have sucked for way too long. Don't take it personally. I give you your third like, and if you post stuff like this, you are welcome anytime as far as I'm concerned. I wish I could be as optimistic as you about our next season. And I gave you #4. Atleast we have been GA multiple times while being down. Guy comes here trying to be friendly and classy and gets roasted. You guys are a tough crowd. This is a reverse psychology attempt, curse you flea bitten mutt. My current view is that we'll take a step forward on offense. Our O-line was one of the worst in the nation last season. It'll improve this year, but that might mean going from "worst in the nation" to "average" or "slightly-below-average". Our WR corp is top 10 in the country, we have some good RBs, and JG is severely underrated as a QB, but the O-line probably still hampers us for another season. And if JG gets injured, look out below, because it's a big drop-off at QB right now with two Freshmen behind JG. D-line depth is going to be a major issue this year. We lose our top 4 D-linemen from last season. We already had issues with D-line depth last season. You could see it particularly in the South Carolina game where Muschamp eventually just decided to run at us nearly every play until it wore us down. While I think we'll improve at DB and LB, the D-line is probably going to hold the D back this season. Mizzou loses a lot of talent, but gains Kelly Bryant, and they are always tough to beat on the road. 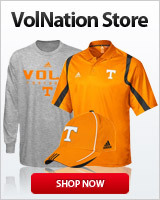 Hopefully we beat Vandy this year, as that was easily the most embarrassing loss from last year. But it's going to be difficult to beat South Carolina and Miss State. Miss State, in particular, is a better team right now. And BYU isn't a gimme. But we could pull off an upset or two. 7 wins would be reasonable. 8+ wins would be an achievement. "Beware of Greeks...err Dawgs....bearing Gifts." My current view is that we'll take a step forward on offense. Our O-line was one of the worst in the nation last season. It'll improve this year, but that might mean going from "worst in the nation" to "average" or "slight-below-average". Our WR corp is top 10 in the country, we have some great RBs, and JG is severely underrated as a QB, but the O-line probably still hampers us for another season. And if JG gets injured, look out below, because it's a big drop-off at QB right now with two Freshmen behind JG. 1. Agree that we should take a step forward on offense. The worst OL in the country last surely will get a little bit better, especially with 2 of the top OL prospects in the country coming in to help and our returning guys getting another year in the program and weight room. Then add a major upgrade to OC in Chaney, and we should see a better, more dynamic offense. 2. Can’t agree that our WR corps is top 10 in the country. Top in the conference, yeah, even top half, but that’s about it imo. JJ is solid and reliable, although limited. Callaway flashes at times and disappears at others times, so he’s really inconsistent. Palmer just hasn’t done much of anything outside of 4-5 good catches last year, 2 of which came in one game vs Auburn. All 3 of those guys struggle with separation although Palmer has shown, at times, he can get behind a defense....just not nearly enough. 3. Great running backs? Can’t agree there. Hurley, Kamara, Fournette, Chubb, Guice were “great” SEC running backs. I can make a strong, intelligent argument that the best college running back in the state of Tennessee doesn’t play in Knoxville, he resides in Nashville...Ke’Shawn Vaughn. Chandler is very good, runs hard, catches the ball well....but he struggles making people miss in the open field and doesn’t pass protect very well. Banks has potential, runs extremely hard, but we all know about his fumbling issues and he doesn’t have enough speed and wiggle to make him great. Jordan runs hard but is at best an average SEC RB. I’m really excited to see what Eric Gray does here, but he hasn’t played yet. 4. Agree with you about JG and the overall QB situation. 5. Don’t know how anyone could possible argue with your takes regarding our DL and our schedule matchups....I think you’re 100% spot on. Georgia Fan, first I hope that your responders here exhibit at least half the civility you did posting here. I find it interesting your prediction is so close to one I made here a while back. The difference was, I had us beating Florida and losing to some team we shouldn't. Personally, I think if UT fans have patience, Pruitt will cause some rumbling to be heard from Rockytop this year as the sleeping giant begins to stir from its slumber. Then in 2020, we start making a bit of noise. The giant sits up, drowsy eyes struggle to stay open, the head shakes off the remaining sleepiness, it scratches its arse and wonders what time it is. By 2021, we'll be fully back. the giant gets up, dressed, not exactly in a nice mood at what its realizes has happened to it. At this point, the SEC begins to realize you just don't quarrel with the Quintronic Man.